Even though tablets are overtaking netbook sales, and ultrabooks are the hottest, newest lightweight laptop darlings, Acer is committed to making netbooks. Digitimes reports that Acer Vice President Scott Lin says the company will focus on bringing netbooks to emerging markets such as China, India, and Indonesia--places where cheap laptops are still in high demand. Even if netbooks aren't as profitable per device, Lin notes that the sheer volume of orders in these areas could make up for the difference. This news comes amidst rumors that Samsung is abandoning netbooks in favor of making Ultrabooks, a move which will leave netbook-making to just Acer and Asus. Acer has a good reason to keep on spitting out netbooks: it's currently the number one netbook maker, with 22 percent of the market and 1.7 million netbook sales in the last quarter--half a million more units than Asus sold (16 percent market share). With fewer people buying netbooks these days, it's no wonder many industry analysts have predicted the "end" of the netbook era. But now it appears that you'll still be ale to pick up Acer netbooks for the foreseeable future. 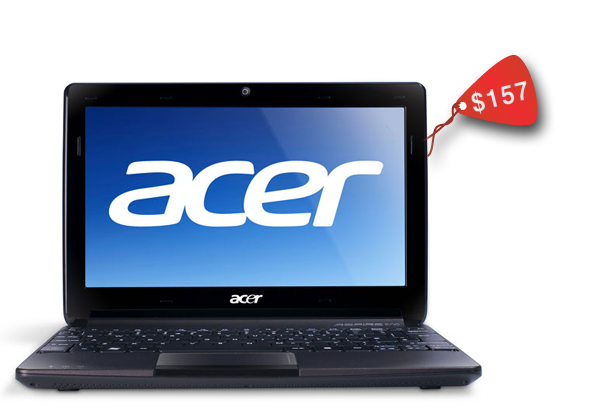 Plus, with price drops and deals, such as an Acer 10.1-inch netbook going for $157 on Black Friday, they're still a great value for many people.